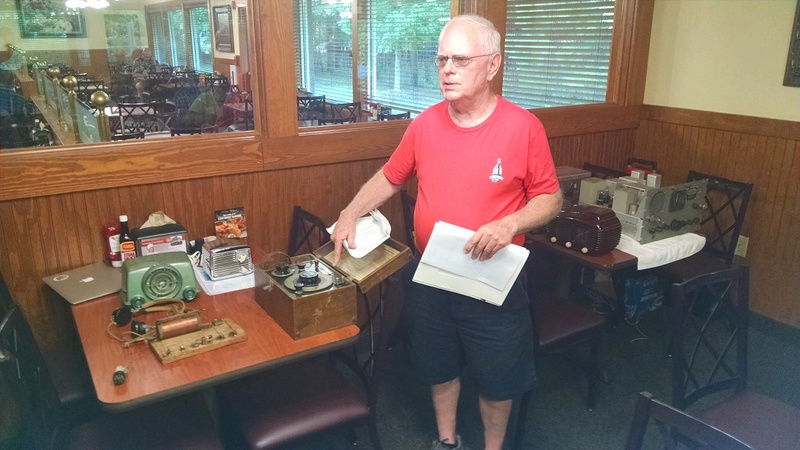 Show N Tell for August at the Golden Corral: Our merry members: “Call to Order”! Roger’s original ‘solid state’ radio, his homebrew crystal set. Ben showed us his turn of the century vacume pump…. It sounded like a steam engine ! Sam demoed his capacitance bridge. Here is Sam’s WW2 era Navy moral radio. Built like a battle ship ! he made from Reed’s design.